This thread is for the discussion of History (literally in the making here with SEPTA). Feel free to post thoughts, memories, questions and answers about all the wonderful historical remenents around the area we call Philadelphia. I love those old Bullet cars. They look as if they are wearing smart little hats, such as a Conductor would wear. I thought I saw one at the Electric City Trolley Museum in Scranton, but in SEPTA colors. Lucius Kwok wrote: I thought I saw one at the Electric City Trolley Museum in Scranton, but in SEPTA colors. BTW-- The Bullet Cars are the mechanical and electrical descendants of the Cincinnati & Lake Erie Railroad's "Red Devil" interurban cars. Both types were designed by the same people, as the P&W and C&LE were run by those same people in the 1930's, and Red Devil No. 127 was actually tested on the P&W in 1930 as part of the development process of the Bullets. A number of the Red Devils actually operated over the P&W in revenue service after 1939 (when the C&LE quit) as the Lehigh Valley Transit Co.'s 1000 class Liberty Bell Limited cars. From 1939 until 1949, these cars operated from Allentown to 69th Street running over the P&W south of Norristown. LVT cut back the Liberty Bell Route to Norristown in 1949 and quit altogether in 1951. I probably rode P&W Bullet Car #205 more than any other car during the 15 years that I commuted between 69th Street and Radnor (1972 to 1987). It looks strange (to me) with trolley poles, but I try to ride it once each year at Rockhill. chuchubob wrote: I probably rode P&W Bullet Car #205 more than any other car during the 15 years that I commuted between 69th Street and Radnor (1972 to 1987). Bob--- How does Rockhill handle the high level loading only capability on No. 205? Do they use a portable high level platform, or have they installed permanent high level platforms? They installed small high level platforms. As for a favorite Bullet, I kinda liked 207. It had a different set of bolsters than the others and it seemed that the trucks rode a bit more solidly. Bob: Thanks- I wondered what Rockhill did. I used to "day dream" about the National Capital Trolley Museum acquiring a Bullet and doing what Rockhill did ( this is probably no more than a day dream) so that I could learn to operate one. Jeff- Your picture is of No 116--- one of the coach versions. There were also deluxe versions which had a lounge section in the rear ( Nos 120-129). It was the deluxe cars which LVT acquired and made them their 1000 class Liberty Bell Limited cars. No. 116 wound up on the Crandic ( Cedar Rapids & Iowa City RR) system. It is my understanding that back when the EL aka the Market-Frankford line aka Blue Line was first introduced that it either did not go underground till either right before or after it cross the SureKill (Schukyll) River. Does anybody havae any info or pics, as I thought I remember seeing pics of it running at 30th above ground and not underground. Also what was the name of the tranist company that owned it back then? One of One-Sixty wrote: It is my understanding that back when the EL aka the Market-Frankford line aka Blue Line was first introduced that it either did not go underground till either right before or after it cross the SureKill (Schukyll) River. Until 1955-56, the MFSE was elevated from 69th Street to about 24th street. 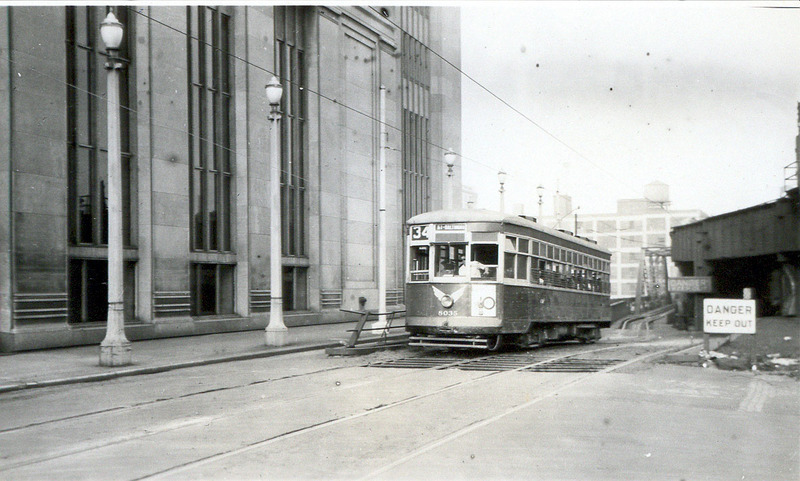 There was a 32nd Street Station, after which it crossed the river on a bridge which was parallel to the Market Street Bridge, then went underground at about 24th Street. The subway-surface cars turned off Market at 32nd Street, then, as the "El" reached ground level, ran on tracks outside of the "El" into the subway using the same portal. There was a subway-surface car station on the incline leading to the portal at about 24th Street. The 19th Street station was the first underground subway-surface station, while the first underground "El" station was 15th Street. In 1955 the Market Street subway was extended into its present configuration with the trains rising to the surface just prior to the 46th Street Station, with the trolleys also exiting as they do now. The original operator of the MFSE and the subway surface cars was the Philadelphia Rapid Transit Company ( PRT) which became the Philadelphia Transportation Company (PTC) in 1940. SEPTA took over the PTC in 1968. The Portion between 69th Street and Front Street was built by the PRT, while the portion from Front Street to Frankford was built by the City of Philadelphia. There was once a PRT built section running south over Delaware Ave to about South Street, but this section was abandoned and torn down in the late 1930's. There's a good map at http://www.phillytrolley.com/streetmap/1944_ptc_map_d2.html showing the bridge and the old routing.